On the May 22 edition of NBC’s newsmagazine program “On Assignment,” reporter Keith Morrison took viewers behind the scenes at a gala that took place last month in the backyard of billionaire former hacker and Silicon Valley wunderkind Sean Parker. Held inside a massive glass atrium constructed for the occasion, the event’s purpose was to launch Parker’s new cancer immunotherapy institute, and was attended by a retinue of Hollywood A-listers with entertainment by Lady Gaga and a keynote by actor Tom Hanks. If the name Sean Parker rings a bell, it’s probably associated with the person unflatteringly portrayed by actor Justin Timberlake in the 2010 movie “The Social Network” — a dramatization of the story of how Parker and Mark Zuckerman created Facebook in 2004. “What hurts the most is when someone’s only impression of me comes from having watched that film and they have preconceived notions about who I am, all of which are completely wrong,” Parker told Morrison. Before the Facebook project, at age 19 Parker had teamed up with Shawn Fanning to create the Napster music sharing service that permanently disrupted the music recording and retail distribution industry. Facebook made him rich, and he subsequently went on to develop the streaming service Spotify, which made him even richer. Parker explained to Morrison how the watershed moment in his life was when his close friend, Hollywood producer Laura Ziskin, lost her personal battle with cancer. During her struggle with the disease, Ziskin had participated in some early clinical trials studying the emerging avenue of cancer treatment called immunotherapy. The concept of harnessing the body’s powerful immune system to attack and kill cancer cells made sense to Parker, who felt compelled to find out why it hadn’t worked for his friend. Parker set out on a quest to learn more about how killer T-cells can be activated to fight cancer, as it has been successful in doing for other cancer patients, a couple of whom are interviewed in the “On Assignment” segment. 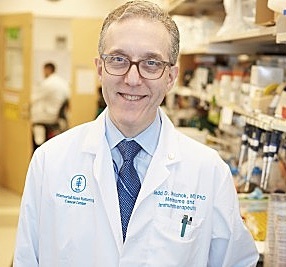 Also interviewed is immunologist Jedd D. Wolchok of the Memorial Sloan-Kettering Cancer Center in New York City — a medical oncologist who specializes in caring for people with melanoma, and as a researcher working to develop innovative ways to use the immune system to treat cancer has been at the forefront of cancer immunotherapy as a clinician-scientist and as a principal investigator of several pivotal clinical trials. The operative question troubling Parker was that with immunotherapy seeming so promising, why aren’t more people getting treated with it? His hacker background led him to search for vulnerabilities and find ways to fix them. What he determined is ailing immonotherapy’s advancement is a bureaucratic funding system obliging many scientists to devote too much time and effort on applying for grants that get rejected because the money that’s there tends to flow to the same people, with less than 4 percent of the National Cancer Institute’s $4.9 billion cancer research budget in 2015 going to support immunotherapy research and development — a state of affairs heartbreakingly frustrating to patients who don’t have time to wait another generation for governments and other funding institutions to provide answers. Parker tells Morrison that he sees the cancer curing business as ripe for application of his particular talents and resources, starting with answering the simple question: Why, despite a four-decade war against cancer and more than $150 billion in research spent, there’s so little improvement in life expectancy of patients to show for it? Five-year survival rates are virtually unchanged from 20 years ago in most types of cancer. The Parker Foundation, which is being funded with $250 million of Parker’s own money, notes that in 2014, more than 1.6 million Americans were diagnosed and close to 600,000 died from cancer, and by 2030, cancer is expected to surpass heart disease as the leading cause of death in the U.S.
Parker has identified one substantial obstacle to advancement as the reluctance of researchers and their funders to share lucrative intellectual property rights to immunotherapy advances, which Parker said is nearly the same problem he encountered in helping get Spotify up and running. The solution in that instance, he told Morrison, was to work with four major record labels to get the rights to license content. Parker envisions a system under which medical research intellectual property could be shared between discoverers, developers, and funders under a formula that would be equitable and beneficial to all: “a system where all of the intellectual property could be shared amongst the scientists so a breakthrough from one place can be used by someone in another place” applying different techniques, thereby providing an organizational structure for a meeting of some of the best minds in medicine to focus on curing cancer. He imagines the creation of an Immunotherapy Dream Team. According to the American Association for Cancer Research and Stand Up To Cancer, cancer immunologists have long hypothesized that specific interventions could stimulate and “re-educate” patients’ own immune systems to attack their cancer, noting that one approach of immunology-based cancer treatment kills cancer cells by activating a specific type of white blood cell called a T lymphocyte. These cells have surface receptors (TCRs) that activate the T lymphocytes and allow them to recognize and target cancer cells. Expanding the T lymphocytes outside the body, engineering them to be more potent, and reinfusing these souped-up anti-cancer lymphocytes into patients – a process termed “adoptive cell therapy,” or ACT — is like adding more soldiers to the immune army. However, the AACR notes that lymphocytes also have inhibitory receptors, termed checkpoints, that act like the parking brake of a car, stopping the process that T lymphocytes use to kill cancer cells. Cancers exploit these checkpoints to resist immune attack by the anti-tumor lymphocytes. The Dream Team will focus on two approaches to overcome these obstacles. First, investigating a checkpoint blockade, where the checkpoints are inhibited with specific antibodies, “disable the brakes” and allow the immune system to get the upper hand. To do this, they will analyze tumor samples to determine checkpoint expression in tumors before and after checkpoint blockade or adoptive cell transfer (ACT), possible synergistic treatment combinations, and biomarkers that may be able to predict response or resistance to therapy. 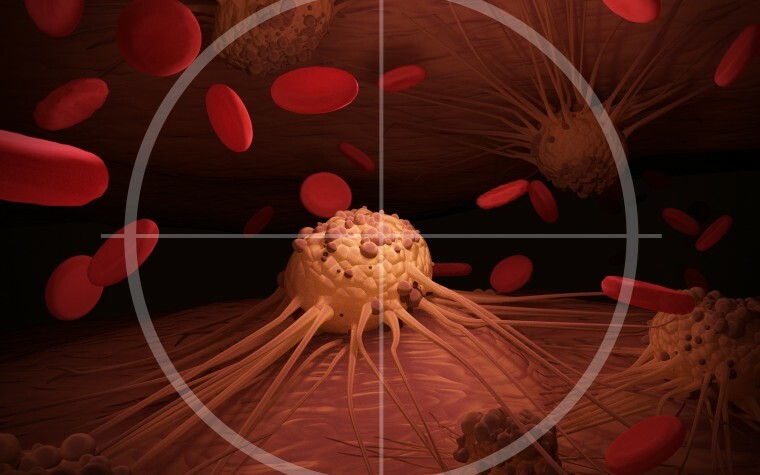 They will also test the hypothesis that multiple T lymphocyte targets are expressed by tumor cells, investigating the use of antibodies to remove the checkpoints, once again allowing T lymphocytes to kill cancer cells, and whether a combination treatment of a specific checkpoint blockade (anti-CTLA-4) and inhibition of tumor blood vessel formation will improve patient outcomes. Second, the team will pursue multiple ACT approaches, such as starting from a few T lymphocytes with the desired ability to recognize and kill cancer, growing them in the laboratory, and then giving them to the patient. The Dream Team will also jointly address key factors currently limiting the efficacy and wide applicability of tumor immunotherapy, with the clinical impact of this project projected to result from the potential synergy of combining checkpoint blockade and ACT to treat a range of tumor types to improve the lives of patients with cancer. 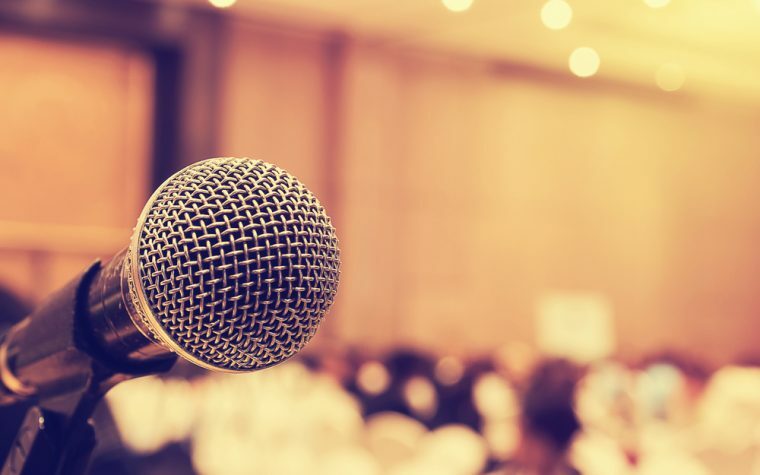 Parker is gaining traction with his support for the project, recently meeting with Vice President Joe Biden, who is heading up the Obama administration’s new cancer initiative, and with former President Jimmy Carter, who is fighting his own personal battle with cancer and has experienced remarkable success with immunotherapy. Parker also recently visited the Vatican to accept an award for his cancer-fighting efforts. The Parker Foundation observes that immunotherapy is the only cancer treatment approach that has ever demonstrated an ability to generate durable remissions even in advanced tumors, but that there are significant financial and organizational barriers to success — for example, the pharmaceutical industry’s R&D pipeline remains largely focused on novel chemotherapy and targeted agents. However, through the support from Parker, Stand Up To Cancer (SU2C) and the Cancer Research Institute (CRI) have formed the Immunology Research Dream Team dedicated to cancer immunology: www.aacr.org/Funding/Pages/sutc-dream-team.aspx?ItemID=4#.V0R2z0nlvYI. Tagged cancer research, Immunologic Checkpoint Blockade, immunotherapy, Immunotherapy Dream Team, research funding, Sean Parker.